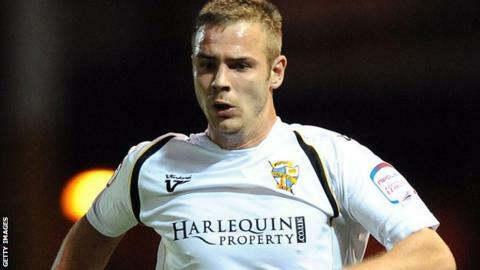 Tom Pope and Louis Dodds both scored twice as Port Vale stunned Fleetwood at Highbury Stadium. Pope netted from close range before Ashley Vincent doubled the lead with a low shot from the edge of the area. Junior Brown's header pulled Fleetwood back into the game, but Pope grabbed his eighth of the season after the home side failed to deal with a free-kick. Dodds fired Vale's fourth and curled home his second, before Fleetwood's Steven Gillespie scored from the spot. There were early signs of the entertainment in store at Highbury when Fleetwood almost took the lead through a Lee Fowler shot which was turned behind by Chris Neal. Vale responded immediately, as Jennison Myrie-Williams unleashed a drive which drew a fine save from Scott Davies. But they did not have to wait long for the opener, as Myrie-Williams chased down a ball that appeared to be going out before turning it back to the edge of the six-yard box where Pope arrived to slot it in. Vincent's well-placed effort appeared to put Vale in control, before Brown's header sent Fleetwood in at half-time harbouring hopes of a fightback. But that never materialised as Pope pounced for his second and Dodds grabbed a quickfire double - his second a wonderful curling effort. Clayton McDonald's clumsy challenge gifted Fleetwood a second from the spot but it was scant consolation as Vale leapfrogged them into second place.